SEO stands for Search Engine Optimization. SEO is all about optimizing a website for search engines like Google, Yahoo, and Bing as well as visible to users. Best SEO company will help to ensure that a website or blog is in reach of search engines with their SEO professionals. Search Engine Optimization can improve the chances that the site will be found and ranked highly on the top by the SERP (search engines result in Page). Competition is very high today, so SEO is the best option for the firms who wants to get high traffic and increase their business boundaries on digital trends. 1-Organic SEO – The organic search engine optimization (organic SEO) means the methods used to obtain a higher ranking on a search engine results page (SERP) in unpaid or Organic, algorithm-driven results on a given search engine with specific Keywords. Two techniques follow such as on page and off page. Getting high quality back links and quality content gets a priority in search engines algorithms to rank on top. Black hat SEO technique, such as keyword stuffing and link farming, can also boost organic SEO for a short period of time. Ranking a website mostly depends upon on-page of a webpage or blog. On page, means optimize a website with basic levels like HTML tag, Meta tags, header tag, content website URL’s, sitemaps and robots.txt file as well. Best optimization practices that you can apply to the pages of your website in order to improve their ranking in search engine results. 2-Paid SEO – Paid SEO also Known as SEM (Search Engine Marketing). 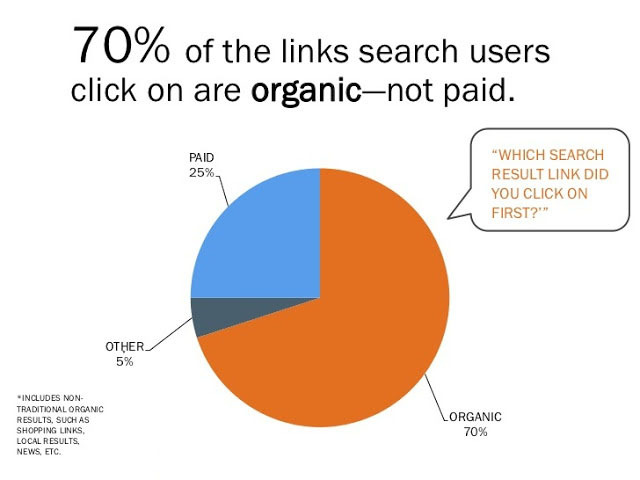 Google Ad Words, ads on Yahoo and Bing Ads are most popular paid search platforms used by search marketers. CPM (cost-per-thousand impressions), Paid search advertising, PPC (pay-per-click) and CPC (cost-per-click) are some SEM techniques to use by search marketers. What is good for business? Organic SEO or Paid SEO? Both are an effective way of garnering visitors for a website, but one of them can work very well for certain situations, while with the other, you may encounter difficulties generating traffic in the same situation.Both Techniques are good as per requirements but I must tell you 70% of the links search users click on is organic – not paid. To succeed with either one method or with both of them, marketers should know their strengths and limitations so they can be used correctly under optimal conditions.